Miok D. Pak, The Speaker-Addressee Relation at the Syntax-Semantics Interface,” Language (Joint work with Paul Portner & Rafaella Zanuttini) (March 2019). Celeste L. Arrington, “The Mechanisms behind Litigation’s ‘Radiating Effects’: Historical Grievances against Japan,” Law & Society Review 53, no. 1 (March 2019). Celeste Arrington,“Hiding in Plain Sight: Pseudonymity and Participation in Legal Mobilization,” Comparative Political Studies (Published online first May 10, 2018). Celeste Arrington, “The Access Paradox: Media Environment Diversity and Coverage of Activist Groups in Japan and Korea,” Journal of East Asian Studies vol. 17, no. 1 (March 2017): 69-93. Jisoo M. Kim, “From Jealousy to Violence: Marriage, Family, and Confucian Patriarchy in Fifteenth Century Korea,” Acta Koreana vol. 20, no. 1 (June 2017): 91-110. Jisoo M. Kim, “Women’s Legal Voice: Language, Power, and Gender Performativity in Late Choson Korea,” Journal of Asian Studies vol. 74, no. 3 (August 2015): 667-86. Miok D. Pak, “Toward Understanding the Syntactic Representation of Honorifics in Korean,” Korean Linguistics vol. 17 no. 2 (2015): 132-166. Young-Key Kim-Renaud, “A Syntactic and Pragmatic Analysis of Subject Honorification,” in David J. Silva, ed., Inquiries into Korean Linguistics V: 49-59. Celeste Arrington, “Leprosy, Legal Mobilization, and the Public Sphere in Japan and South Korea,” Law & Society Review vol. 48, no. 3 (Sept. 2014): 563-593. Jisoo M. Kim, “Law and Emotion: Tension between Filiality and Fidelity in a Property Dispute of Early Choson Korea,” Tongbang Hakji [Journal of Eastern Studies] vol. 162 (June 2013): 203-39. Miok D. Pak, “A Syntactic Analysis of Interpretive Restrictions on Imperative, Promissive, and Exhortative Subjects,” Natural Language & Linguistic Theory vol. 30, no. 4 (2012): 1231-1274. Miok D. Pak and Young-Key Kim-Renaud, “Agreement in Korean Revisited,” Inquiries into Korean Linguistics IV (2011): 209-222. Jisoo M. Kim, “Crossing the Boundary of Inner Quarters: Elite Women’s Petitioning Activity in Late Choson Korea,” Korean Studies Forum vol. 4 (2010): 221-243. 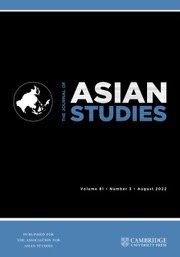 Gregg A. Brazinsky, “The United States and Multilateral Security Cooperation in Northeast Asia,” Asian Perspective vol. 32, no. 2 (Summer 2008): 21-36. 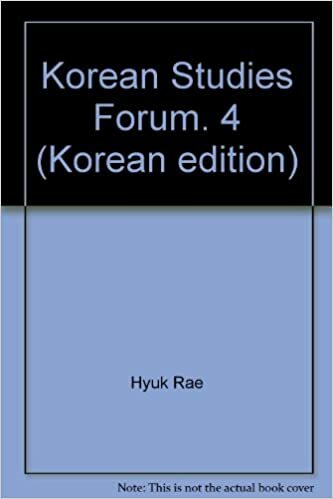 Miok D. Pak, “Types of Clauses and Sentence End Particles in Korean,” Korean Linguistics vol. 14 (2008): 113-155. 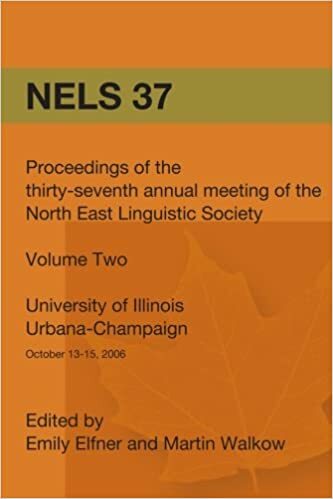 Miok D. Pak, “Agreement and the Subjects of Jussive Clauses in Korean,” Proceedings of 37th North East Linguistic Society, vol. 2 (2008): 127-138. (Joint Work with Paul Portner and Raffaella Zanuttini). Gregg A. Brazinsky, “From Pupil to Model: American Economic Development Policy and the ROK 1961-1968,” Diplomatic History vol. 29, no. 1 (January 2005): 83-115. Miok D. Pak, “Clause Typing in Imperatives: A Cross-Linguistic Perspective,” Georgetown University Working Papers in Theoretical Linguistics, 135-152. (Joint Work with Simon Mauck, Paul Portner, and Raffaella Zanuttini). Miok D. Pak, “Syntax and Morphology of Temporal-Aspectual Constructions in Korean,” Korean Linguistics vol. 12 (2004): 55-98.